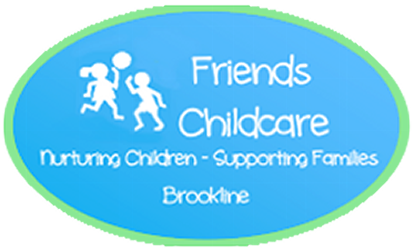 Friends Childcare is a progressive and caring program that recognizes the uniqueness of each child. We believe introducing a variety of activities encourages young children to identify with their own special skills and interest and enjoy the process of learning a new activity. With this in mind, over the years we have had a number of talented artist and activity professionals come in and teach yoga, soccer, etc. and we also had story tellers come in and tell their stories. They have all come and shared their interest with our children on a periodic basis. Current activities offered are listed below and all these activities are covered in the tuition you pay. Puddlestompers uses hands-on exploration, songs, active movement, crafts, and stories to connect children (ages 15 months and older) and families with the natural world during all four seasons. 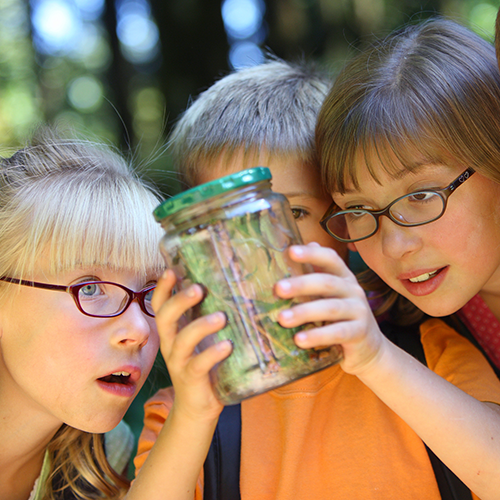 Some sample topics include trees, weather, mammals and insects. 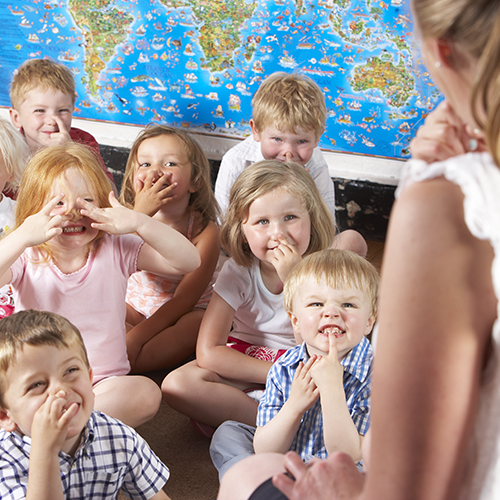 After each session, Puddlestompers provides a sheet to participating parents to explain the topic and activities that will be covered for that day. This is to encourage and assist parents with expanding on the topics at home. This is a music and movement class that is infused with energetic original songs, reinvented children's classics, and uses live musical instruments such as shakers, drums, and rhythm sticks to get children involved. Music happens every Tuesday and is led by the lovely Ms. Emily, who is from the "Jammin' With You" company. While participating in music classes, the children and caregivers develop skills of social play, group participation, music appreciation, and confidence. The class also provides time for imagination and movement. Children have the opportunity to enhance their recall skills by practicing and remembering songs and movement from week to week. This class is both fun and charming and always offers enjoyment for teachers and children alike. Baby massage is offered to the infants once a week. 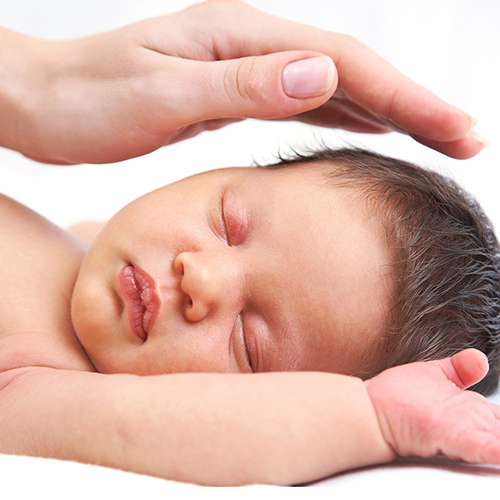 A licensed massage therapist performs different moves to help enhance infant growth and development. It's a way to communicate, convey affection, and a sense of security. Infant massage can provide the infant relief from daily stress or discomfort from constipation, trapped gas, or teething. Massaging babies for up to 15 minutes a day can help to increase circulation, promote relaxation, aid the digestive and respiratory systems, and relieve muscle tension. Amazing Athletes is a gross motor program for children ages 15 months and older. This program focuses on hand-eye coordination skills. It also teaches lessons in teamwork, sportsmanship and self-confidence. 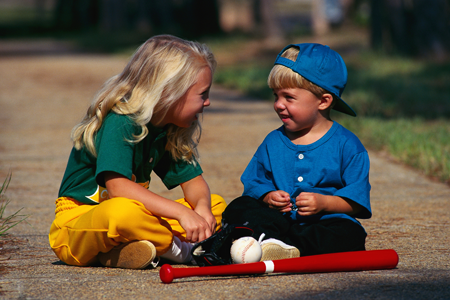 Our non-competitive, skill-based sports lessons help children find the fun in physical activity. The program also helps children meet, master, and exceed their gross motor-development milestones.